Beautifully constructed girls MaryJane Christening shoe made of Polycotton batiste with a delicate organza overlay to give the shoe a shimmering. 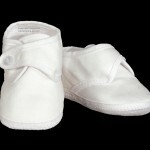 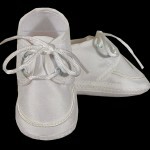 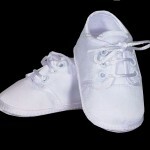 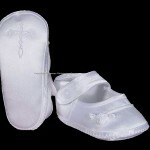 The perfect touch to finish your cotton or poly-cotton Christening set. 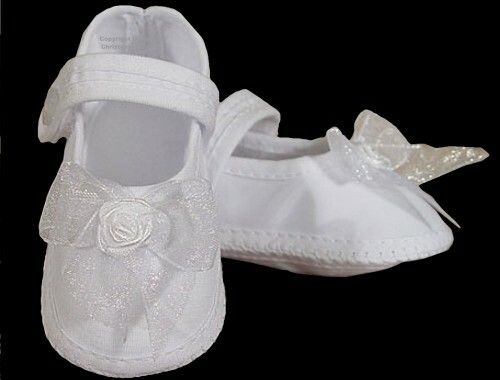 Trimmed with an organza bow and ribbon rosette.